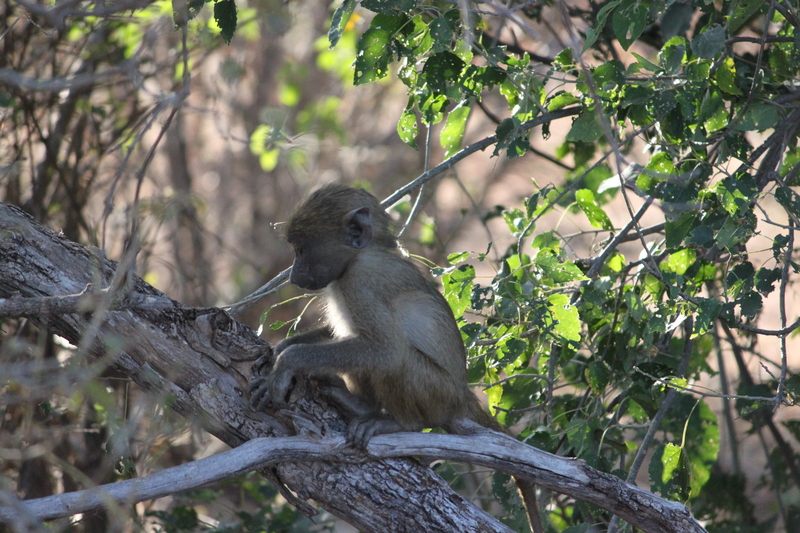 This entry was posted in Travel Photos and tagged 50 Year Project, Africa, Baboon, Baby Baboon, Blog, Botswana, Chobe National Park, Life, Nature, Photography, Travel, Travel Blog, Travel Journal, Travel Photo, Wildlife. Bookmark the permalink. You have some amazing shots! I enjoy seeing them everyday. This one is so precious! ah, thank you. He is a cutie. I’m a sucker for baby animals. Nice picture, TBM! I have never seen a baby baboon picture before. I used to wander off a lot myself, and oh boy did I hear about it. Love this! How did you find Botswana? I would love to go. Botswana was one of the best places we’ve ever been. We stayed near Chobe National Park for a few days and then spent a few days in the Okavango Delta. Wonderful, wonderful, wonderful. I do wonder what he’s thinking. Maybe it was in time out. Oh my—I want to snuggle him!!!! He looks like he needs a hug. The more animals I see in the wild, the more I realize we are so much like them. Ah sweet!! There is something about baby animals that just make your heart all warm and fuzzy! Lovely photo TBM. Aw, the cuteness! I like your snippet about wandering off – I always used to do the same thing and then my daughter too! I lost her on the beach once because she followed a couple with a dog! My mom said I would follow the wrong knees out of stores.